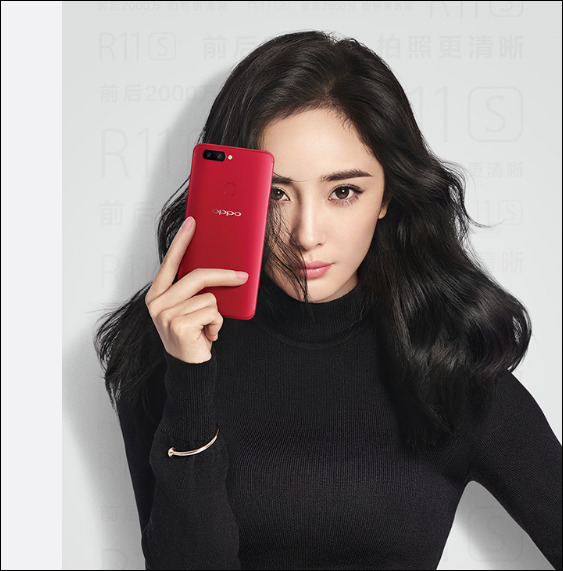 OPPO has set the launch date of its new R11s for November 2. The device was spotted on AnTuTu earlier in the day with specifications sharing an uncanny resemblance to those on the original R11. The OPPO R11 was released earlier in the year and has been succeeded by the R11 Plus. 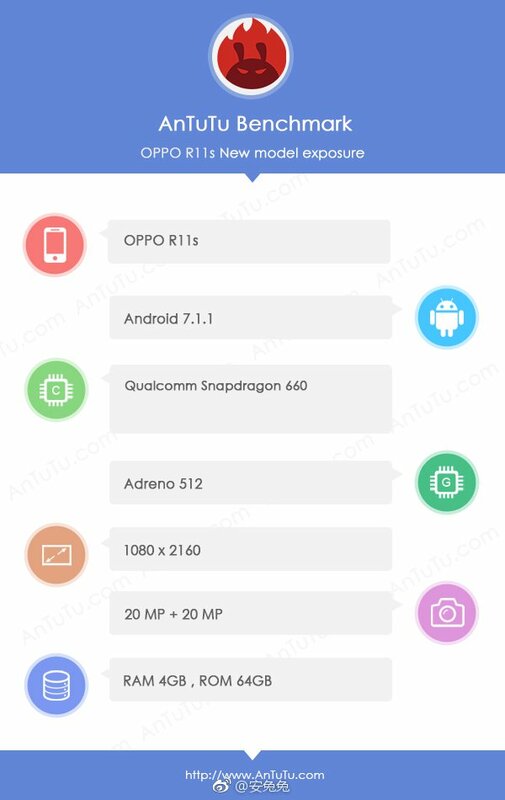 OPPO is set to release yet another variant of the R11, though, this time in the guise of the R11s. The R11s was spotted on AnTuTu, with the listing showing specifications identical to what we've seen on the original R11. The R11s is poised to sport a 6-inch FHD+ display, with its 18:9 aspect ratio and full-screen display being the stand-out differences from the R11. It will be powered by the Snapdragon 660—and Adreno 512 on the graphic end of things—and will feature 4 GB of RAM, 64 GB of storage, dual rear cameras (20 MP + 16 MP), a 20 MP selfie shooter, and a 4000 mAh battery. The battery is the other improvement from the R11, as the R11s larger display means it has to go higher than the 2900 mAh one on its predecessor. 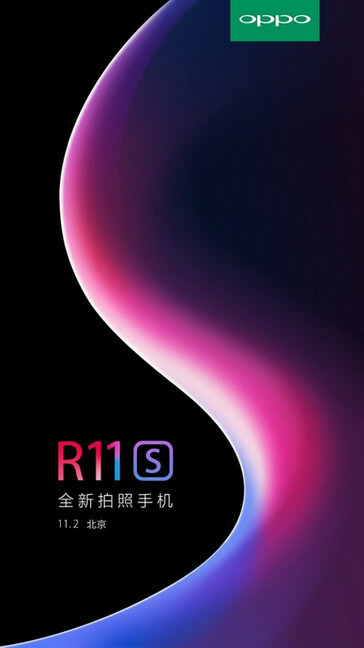 The company has scheduled the launch of the R11s for an event that will take place on November 2, the same day we should be receiving the HTC U11 Life.